What an impact Justin Bibbins has been for the University of Utah men’s basketball team. After graduating early from Long Beach State, the two-time All-Big West player contacted Utah coach Larry Krystkowiak about playing for the Utes for his senior season. Despite being smaller than most typical Division I players at 5-foot-8 and weighing just 150 pounds, Bibbins makes it up with his effort as the guard went off for a game-high 23 points to lead the Runnin’ Utes to a 83-74 victory over Ole Miss Monday night in the MGM Resorts Main Event. Freshman Donnie Tillman had 13 points and eight rebounds, Tyler Rawson just missed out on a triple-double with nine points, 10 rebounds and seven assists and David Collette and Sedrick Barefield scored 13 and 12 points respectively. The win was Utah’s second of the season against an opponent from the Southeastern Conference (SEC) after smashing Missouri, 77-59, last week at home. After scoring just two points in the first half, Bibbins went off in the second half as the senior went 5-of-7 from beyond the arc to lead the Utes to victory. With the win, the Utes improved to 16-19 all-time against opponents from the SEC. 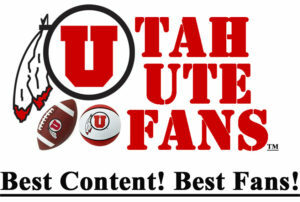 Despite losing four starters from last year’s team, the Utes haven’t shown signs of slowing down or using it as a “rebuilding season” as they have outscored their first four opponents by more than 20 points per game to stay unbeaten on the season.